The number of fresh & easy locations in Rancho Cucamonga doubled today. Of course, there was only one to begin with, but now there are two. The new location, which opened its doors at 10 a.m today, is at 8956 Foothill Blvd. (at Vineyard Avenue), in the Thomas Winery Plaza. It joins the original Rancho Cucamonga location about 3 miles east at 12188 Foothill Blvd. (at Day Creek Boulevard), which opened in September. The recipient of the $1,000 check (which fresh & easy grants at each grand opening) is Citrus Little League. Of course, still no word on the Loma Linda, Rialto, Moreno Valley (Cottonwood Avenue), Calimesa and Ontario (Euclid Avenue) store openings, although I hear the Rialto store will open sometime in March. I suspect the second Ontario location will open shortly after that. With one series of storms having passed through last week and another storm on the way, the fine folks at the San Bernardino County Department of Public Health have issued tips for safe home heating and safe cooking (and storage) of food. Don’t use gasoline, propane, natural gas or charcoal-burning devices to heat your home. Throw away food (including food containers with screw-caps, and home canned foods) that has touched flood or storm water. Throw away perishable food that has been at 41 degrees or warmer for more than two hours. prepare food, wash your hands, make ice, or make baby formula. This is especially important to remember if the power goes out, as it has in the mountains during the recent storms. Follow the jump to read the county’s press release. Earlier this month, P.F. Chang’s launched a new Happy Hour, which runs from 3 to 6 p.m. every day. A quick glance revealed nearly all of the items on the Happy Hour menu are at least $2 off their usual prices. Most of the items I compared were $3 less. Happy Hour items are priced from $3 to $6…get it? 3 to 6 p.m. — $3 to $6 prices? Clever, huh? Of course, there is one item (a glass of Pabst Blue Ribbon) that’s only $2, but let’s pretend we didn’t see that. We stumbled upon the Happy Hour this past Friday afternoon at the Victoria Gardens location in Rancho Cucamonga. The result? For $20 and pennies per person (including tax, but not tip), we had a delicious, filling meal that included a wide variety of food, a high-end Margarita and dessert. Follow the jump for more details. A short while back, Amapola Rico Taco began offering an all-you-can-eat brunch buffet on Saturdays and Sundays at two of its San Bernardino locations — 1279 W. Base Line (at Mount Vernon Avenue) and 1060 Harriman Ave.
I’d been to Amapola in the past and have to admit I hadn’t been impressed. However, this past weekend, I headed to the Base Line location to give the buffet a try. The buffet is loaded with Mexican delicacies, including menudo, chilaquiles, tamales, enchiladas, chorizo con huevos y papas, machaca, chile verde, carne asada and albndigas. I enjoyed almost everything I tried. Allan Borgen and Jeff Williams of the Let’s Dine Out show on NewsTalk 590 KTIE are hosting a Grub Club event at Afghan Palace Cuisine, 8685 Base Line, Rancho Cucamonga. The event, a 17-course feast, will take place at 5 p.m. January 31. 17 courses? Wow…that’s like eight meals rolled into one! Cost is $22.95, which includes tax, tip and beverage. Seating is limited and reservations are required by January 28. R.S.V.P. to Allan Borgen at 909-910-3463. For a “taste” of what to expect, you can read Allan’s review of Afghan Palace Cuisine here. The folks at the Redlands Daily Facts recently visited the oxymoronic new Old Spaghetti Factory in Redlands. We get an earful from pretty much the whole crew: Staff writers Joy Juedes (who drops the name of a certain food blogger), Jesse B. Gill and Chantal M. Lovell; sports writer Kevin Trudgeon; paginator Nichole Owens and head honcho Jennifer M. Dobbs. The verdict is pretty much unanimous — they all enjoyed their meals. You can read the entire review for yourself by following this link. Last night I had a wonderful (and inexpensive) meal at Market Broiler at the Ontario Mills mall. I’ve seen the advertisement announcing 20th anniversary deals on that electronic billboard off the southbound 15 near Fourth Street, but I haven’t had a chance to check them out for myself until last night. I swear the Riverside location has been there for more than 20 years. and half-price appetizers (one per guest) on Wednesdays and Thursdays. The Inland Empire has been called the birthplace of fast food, and Glen William Bell Jr. was one of those who got his start here. He is best known for founding the restaurant which still bears his name, Taco Bell, but also co-founded Taco Tia here in San Bernardino and had a hand in the creation of Wienerschnitzel (founder John Galardi worked for Bell; Bell created their chili recipe; and Bell’s wife came up with the name). He was also friends with Neal T. Baker, who founded Baker’s Drive-Thru, and former Bell employee Ed Hackbarth founded Casa del Taco, now simply known as Del Taco. Bell died yesterday (January 17) at his home in Rancho Santa Fe. He is survived by his wife, Martha, three sisters, two sons and four grandchildren. A link to the press release from Taco Bell can be found here (hover over Our Company at the top, then click on Latest News). Sun writer Andrew Edwards spoke to Stater Bros.’ Jack Brown and Juan Pollo’s Albert Okura about Bell’s legacy and has included their comments in an obituary for tomorrow’s paper. You can find it online here. Tummies ready? Here some the Girl Scout cookies! 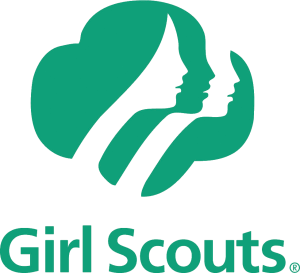 In just a few short weeks, the annual Girl Scout cookie sale will begin. Empire) are doing away with the pre-orders and just selling cookies. This year’s cookie sale runs from January 24 through March 14. There are two official bakers of Girl Scout cookies: ABC Bakers and Little Brownie Bakers. The Girl Scouts of San Gorgonio Council gets their cookies from ABC Bakers. Free pastrami! Free pastrami! Free pastrami! It turns out that tomorrow (January 14) is National Pastrami Day. Who knew? To celebrate, Togo’s Sandwiches is giving away a free pastrami mini classic sandwich to the first 100 customers at each store. The giveaway takes place from 3 to 5 p.m. There are Togo’s locations scattered throughout the Inland Empire, including San Bernardino, Redlands, Fontana, Upland, Corona, Chino Hills and Temecula.